Cleaning gutters should be part of your routine every weekend. You can make it fun by involving all family members. Just be sure you have the tools to climb up the roof and be safe. Considering gutters are high up, it is easy to forget about cleaning. You may not see the accumulation of debris or leaves without climbing up to check. You have to plan regular checks to make sure gutters are functioning as expected. 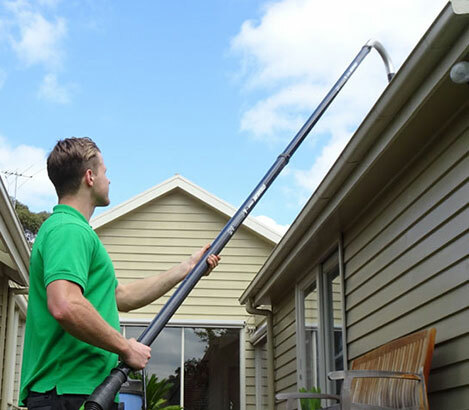 While you can detect a malfunction on your roof with leakages and an improper splash of water, it is important to schedule specific times to check and clean with professionals like us -Smart Gutter Solutions. Failure to clean gutters can destroy your home. Clogged gutters cause water to seep to the walls thus weakening the foundation. The main causes to dampness in your basement can be water from a broken gutter. While damage can be too extreme elements, prolonged dirt and clogging also weaken the material of the gutters. Gutter cleaning is an important aspect if you want to maintain your home. It can seem as a small issue to deal with but don’t you postpone it for long because you might be risking damage to your whole house. After cleaning your house, be sure to check on the gutters at least weekly. Why you need a professional from Smart Gutter Solutions to clean your gutters! The effects of dirty gutters are evident. The risks range from your health to damage your property including plants. Gutters vary widely; the pollutants can also be stubborn. You might not even have the time to check and clean your gutters. Some processes can be complicated hence the need for specialized equipment. In such cases, you need a professional. Depending on your area of stay, leaves can be falling all through the year. By the time it gets to your cleaning schedule maybe after two weeks, the gutter will be too full and already damaged. You need the help of a professional for regular cleaning and maintenance of gutters. While leaves and debris are the most common pollutants on gutters, they are not the only ones. You might not identify some insects that clog crucial parts on the gutters. Also, the removal of rodents might require expertise. In some cases, you may not see the elements blocking your gutters. They might be small but many hence causing significant damage. You need a professional to identify insects and rodents that cause clogging. Cleaning gutters can be involving and risky. The fact that you have to go over the roof makes you prone to fall or more damage to the roof because you don’t have the expertise with heights. Why you need to make sure your gutters are clean every time! Accumulation of leaves and soil on gutters create an environment for the growth of bacteria among other micro-organisms. Critters can also thrive in such an environment. It is important to keep your gutters in check after every few days to ensure none of these exist. Pests can cause diseases to your family and even poultry. Besides, prolonged existence of life in your gutter will cause it to break. Irrespective of the weight or material on the gutter, pests are a threat that you can take care of by cleaning. If debris stays on your roof for more than two weeks, you risk losing your roof to rot. Leaves are organic and when mixed with elements, it can be a suitable environment for plant growth. This will not only be weighty on your gutter that can fall anytime but also extend the damage to your roof. A rotten roof will start to leak. By the time you notice, it will be falling on you. Rot can cause be smelly and affect the design of your house. The fascia board is integral in keeping gutters in place. The fact that the gutter is heavy and rotting depending on the material, the fascia board will also be exposed to the elements. Leakage effect begins from the fascia board. It is important to check on the cleanliness of the gutters to maintain the fascial board structure. Most people use gutters to water garden plants. However, if you don’t clean the gutters you are likely to lose most of your flowers because of too much water. While water is an essential part of a plant of growth, it should be regulated. Overwatering is just the same as not watering; it might not be damage to the foundation or your basement but your flowerbed will drown. The fact that the gutters are full of debris means they cannot hold water for long. It is important to keep the gutters clean to protect your plants. This is the most obvious effect of unclean gutters. Clogging will change the waterway to your wall. This should freak you out and go check your gutters today. When water seeps for a long time on the wall, it goes directly to the foundation. When the soil around your house soaks water with every precipitation, it weakens the foundation. Of course, you know the foundation is fundamental to the existence of any housing. Clean your gutter lest you lose your house or spend much more on major repairs.